Sometimes image is still king! – David Safanda Design Solutions Inc. Sometimes image is still king! 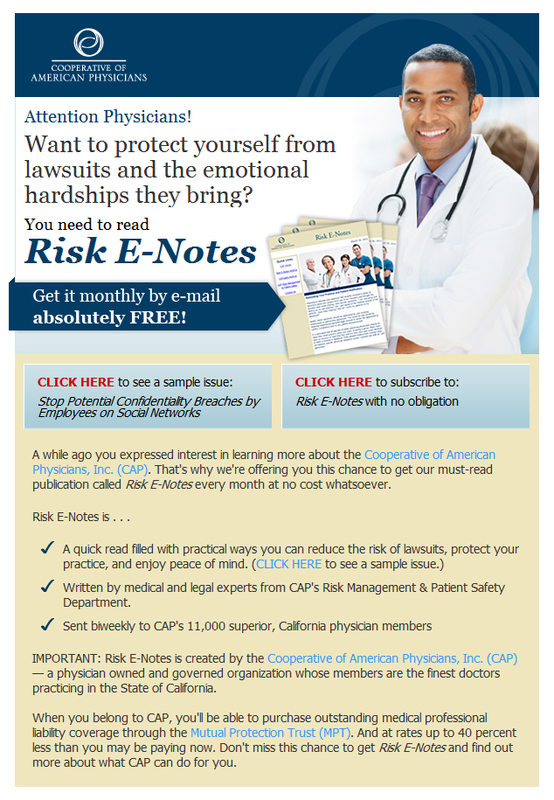 The Cooperative of American Physicians recently hired me to develop the visual design for a new email promoting their Risk E-Notes newsletter. In the process of designing an HTML email I frequently incorporate images. However, I’m also very conscientious of what the email will look like if it arrives in an inbox with images turned off or temporarily disabled. I make a concerted effort to make sure that all headers, body text and call to actions are rendered as HTML and typically let images work in a secondary supporting role. This email design was no different. Images were important ingredients but I carefully aligned elements in such a way that all text could be rendered as HTML. I used Campaign Monitor’s testing service to produce screen shots of the email as it would look in a variety of major email applications. I double and triple checked that the email would look consistent across all applications. Everything worked great until we noticed that tables blew up when the email file was moved from one Outlook folder to another. We were faced with a decision that occurs frequently in email design. Redesign the email using a simplified layout or convert the entire top portion of the email to a single image in order to maintain design consistency. Email design best practices tend to embrace developing for the lowest common denominator and we’ve all been told to avoid heavy images and concentrate on legible and consistent text display. This is great advice but there is a reason companies like Apple Computer often still send emails that consist of little more than one large static image. Sometimes image is still king. There’s a chance that a large image at the top of your email will mean a small percentage of recipients delete the email before taking the time to display images. However, perhaps the greater fear should be that a vast majority of recipients receiving a dull and inspired looking email. If you believe your message and/or promotion works best with a large engaging image that just might be the correct design solution. 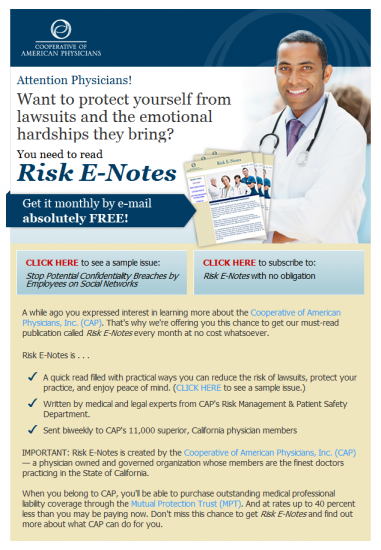 https://davidsafanda.com/wp-content/uploads/2011/06/thumb-capemail.png 80 80 David https://davidsafanda.com/wp-content/uploads/2017/09/logo.png David2011-06-30 09:03:552011-06-30 09:04:53Sometimes image is still king!